Born at Ballyscanian, Ireland in 1843, he was educated at common school then apprenticed as an ironmonger. He then entered Queen’s University, London and studied law for some time. He was called to the English Bar in 1868 but soon turned his attention to journalism, becoming parliamentary reporter for the Westminster Review. During the Franco-German War, he was a correspondent for the Irish Times and was wounded at the siege of Montinedy. He emigrated to Canada in 1872 and worked as a journalist until 1882 when he moved to the North West Territories. 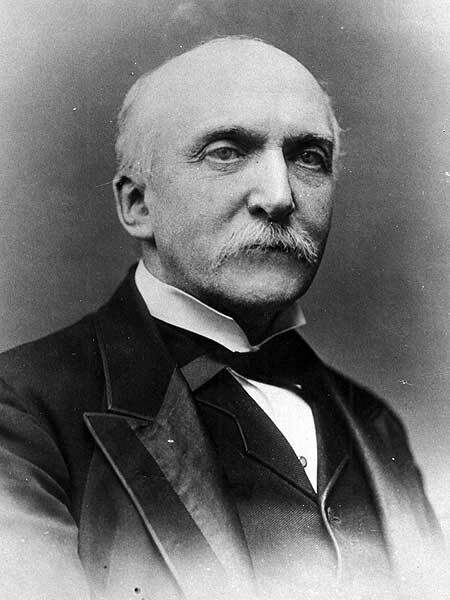 In March 1887, he was elected to the House of Common, representing the constituency of Assiniboia West. He was proprietor and editor of the Regina Leader. A companion of Katherine Simpson Hayes, he committed suicide at the Clarendon Hotel in Winnipeg on 19 October 1901 and was buried in Ottawa, Ontario. “Self-murder of N. F. Davin, ex-M.P.,, Manitoba Free Press, 19 October 1901, page 1.